Samsung is reportedly working on a new smartwatch. It is said that it is the successor to the Galaxy Sport of the company and could be referred to as Galaxy Watch Active. A new review highlights the additional specifications of this new portable device. It will come as no surprise if Samsung is switching to Galaxy branding for this watch as well. With the Galaxy Watch last year, the company has already done so for its flagship Gear S smartwatches. The biggest change that some feared turned out to be true. The Galaxy Watch Active will give up the rotating bezel, which has been firmly anchored in Samsung's smartwatches in recent years. Instead, this device has a smooth bezel that is not used for navigation through the user interface. .1-inch circular display with a resolution of 360 × 360. There are two physical buttons on the right side of the bezel. The battery capacity of the Smartwatch is 236 mAh, which will annoy some owners of Gear Sport because it had a 300 mAh battery. However, it will have a faster Exynos 9110 processor under the hood. Connection options include Wi-Fi, NFC and Bluetooth 4.2, but not 4G LTE. 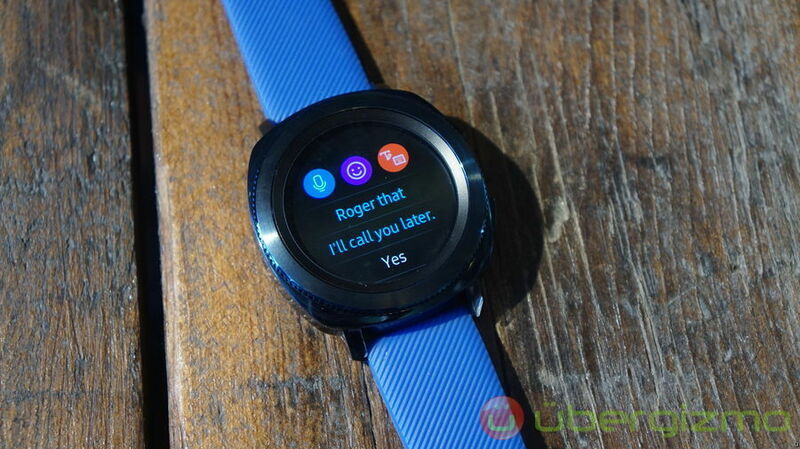 Samsung has not dropped any evidence of a new smartwatch for its February 20 event in San Francisco this month. Saved in Gadgets . Read more about Samsung and wearable devices.